If you are looking for a trustworthy e-wallet company, then you should know that Neteller is one of the leading names in this industry. It poses as a safe and fast way for both businesses and people to move their money online. For gambling enthusiasts betting on online roulette has become an easy and convenient way to enjoy the game in the comfort of their own homes. No matter which web casino you choose to play your favourite edition of roulette at, you must make a deposit in order to be able to pay with real money and collect your winnings. Since every casino is trying to give its customers a secure and pleasant gambling experience, using e-wallets has become a common method for managing the funds of players. The service Neteller is operated by Paysafe Financial Services Limited which was founded in 1999 as an alternative to traditional methods of payment. Individuals who have chosen this service are able to transfer their money into their online accounts, and make payments and deposits in a safe and fast manner. Neteller also provides businesses with the opportunity to accept payments and make payouts via this e-wallet which can help them when there is no other method that will work. There are plenty of services which can help customers manage their money transfers in a fast and completely safe way. Now, it is even easier to make payments and keep track of your account when you are not at home. Neteller offers its customers an application for mobile devices and this can give you control over your money anytime, anywhere. If you want to play roulette and be able to make deposits or withdrawals via Neteller, you first need to create an account which will allow you to make transfers and keep an eye on your money in a fast and effortless way. Creating an account takes less than a couple of minutes. Once you are done registering your Neteller account, you can transfer your funds to your e-wallet and you are ready to send money, shop online, make deposits to the casino you have chosen and withdraw your winnings and bonuses. When you use Neteller, you are able to transfer your money quickly to anyone around the world and the best part is that it is not necessary for the receiver to have a Neteller account. All that you must to do is have funds in your own account, choose the amount you want to send and type down the e-mail address of the recipient. It takes just a few seconds for the transfer to be complete and your money will be sent instantly. If you have decided to use Neteller for withdrawals, your funds will be immediately transferred to your e-wallet and you will have an instant access to the money. Neteller provides its service for money transfers across more than 200 countries and it supports 22 different currencies. Neteller account holders can choose to make payments or accept money in the following currencies: AUD, BRL, BGN, CAD, DKK, EUR, GBP, HUF, INR, JPY, MYR, MXN, MAD, NGN, NOK, PLN, RON, RUB, SING, ZAR, SEK, CHF, TWD, TND, AED, USD, and COP. The service of Neteller allows its clients to send money almost everywhere around the world with its automatic conversion of currency. To be able to enjoy playing online roulette games and make deposits to the casino of your choice via Neteller, you must create an account which will allow you to make payments and withdrawals via this e-wallet. Creating a Neteller account is extremely easy and you will be able to use it in just a few minutes after joining the platform. In order to become one of Neteller’s customers, you have to give your e-mail address which will, later on, help you to sign into your account. The next step is choosing a password which must be at least eight characters and it has to contain at least one number and one uppercase letter. After that you have to choose the currency you use for most of your online transactions. The final step is to write down your personal information such as date of birth, country, city, etc. Once you are done filling in the registration form. You will then receive an e-mail which will help you confirm your registration and you will be ready to sign in and open your Neteller account. After you have become an account holder, you will be able to deposit funds into your e-wallet. You can choose different methods to load money into your account. Credit and debit cards, bank transfers and alternative deposit options such as other e-wallets can be used to transfer funds to your Neteller account. One of the best services that Neteller offers to its clients are the prepaid cards which will allow every Net+ cardholder to have an easy access to their money wherever they go. There are no annual, monthly or dormancy fees which make this prepaid card an easy and convenient way to manage your funds. There are three types of Net+ Cards that clients can use: Plastic, Virtual and Virtual Gift Card. The Net+ Plastic Card allows you to spend your money anywhere MasterCard is accepted. This is a safe way to make purchases without jeopardising your personal information due to the chip & PIN technology, the 128-bit encryption and transaction monitoring that the company utilises. The benefit of using Net+ Card is that it really is one of the most cost-effective prepaid cards on the market. Since there are no annual, monthly or dormancy fees, Neteller customers can spend their money without worrying about spending too much. The Net+ Virtual Card is perfect if you want to make a deposit to the web casino where you are playing online roulette. You can use Net+ Virtual Card in every website that accepts MasterCard. This will allow you to make purchases online without having to disclose information about your personal credit card. You can have up to 5 different virtual cards, registered on your account. Each will have its own name, currency and optional time limit. Your first card is free and you are able to use it as soon as you open your account at Neteller. You can choose a limit to each of your virtual cards. Once this limit is reached, your card will be deactivated. If you want to surprise your friends or family with a gift, you can give them the Net+ Virtual Gift card. It is a prepaid MasterCard which can be used anywhere the brand is accepted. Since Neteller customers are sending this card virtually, it can be delivered quickly and securely anywhere around the world. There are multiple themes for the gift cards and you can choose from 8 currencies. This prepaid card is a wonderful gift because even if your friend or family member is living on the other side of the world they can use Net+ Virtual Gift Card at any website that accepts MasterCard. Neteller account holders can now have an access to their funds even when they are on the go. Due to the convenient mobile application which is available both for Android and iOS, clients can now manage their e-wallets from their smartphones. The application allows you to keep an eye on your balance and see your recent transactions. You can also use your mobile application to deposit funds into your Neteller account (casino account) or initiate a withdrawal of your roulette winnings. You can send and receive money with one click on your mobile device. The application is easy to use and it gives roulette players the opportunity to handle their deposits and withdrawals wherever they go, at any time of the day. Since e-wallets have become a popular method to make online purchases and withdraw money to your personal account, many web casinos accept Neteller as a payment method. Since this e-wallet service is used by many individuals and businesses across more than 200 countries, it is highly possible that the casino where you play online roulette will also accept deposits made via Neteller. Мany web gambling platforms will also allow their players to cash out their winnings via this e-wallet. What is great about making deposits via Neteller is that players can instantly transfer their funds to their online account. If the web casino you have chosen offers to make payouts via this e-wallet platform, you can expect very fast transactions. There are many reasons why Neteller is considered to be one of the most preferred payment methods among online gamblers. One of them is the fast and effortless way to make a deposit to the web casino where players like to make their bets. If you decide to top up your balance, you should go to the cashier or banking section. There, you will be presented with the payment methods which are available in the country you are playing from. Select Neteller as a way to make a deposit and fill in your Account ID or e-mail address and your Secure ID or Authentication Code. Enter the amount you wish to transfer to your casino account. Once you are done with these steps, it will take a few minutes for Neteller to approve your request and shortly after that, you will be able to see your money transferred to your casino balance. Withdrawing your funds back to your e-wallet is just as easy as making a deposit. Go to your cashier or banking section and open the list with options for withdrawals. Choose Neteller and fill in your account information. Enter the amount of the winnings you wish to cash out. You should keep in mind that withdrawing takes a little more time than depositing funds. This is because the casino where you play online roulette or any other game has to approve your request before your money can be transferred to your Neteller account. Although the transaction may not be instant, it usually takes between 1 to 3 business days for the transfer to be completed. One of the great things about making a deposit via Neteller is that there rarely are any fees when players transfer money to their casino accounts. Of course, there might be a small fee when you do withdrawals or if your transactions require currency conversion, Neteller adds 3.9% to the average daily interbank market. The platform retains this amount as a foreign exchange processing fee which is a way to avoid any issues resulting from exchange rate fluctuations. If you are a VIP member of Neteller you can enjoy lower exchange rates and you can pay as little as 1% in foreign exchange fees. There are also various options to deposit to your Neteller account and the fee which you can be charged when you fund your e-wallet may vary depending on the deposit option you choose. If you want to know the percentage of the fees, you can visit Neteller’s official website, go to the Fee section and you will see a list with all the methods which are available along with the fee which you will be charged if you use them. Using your e-wallet to cash out your winnings and bonus money from the online casino where you play can be quite convenient as well. Withdrawals from your favourite virtual casino or any other web platform, for that matter, are free and you will not be charged any fees when you get your money back to your e-wallet. If you happen to use any other way of withdrawing money back to your Neteller account you might be charged additionally. The fee for initiating a withdrawal via bank drafts is between €7.50 and €25.00. If a bank transfer is your preferred option, the fee which you will have to pay is €7.50. Another option which will cost you a fee of is the Member Wire. (Member wire transfers will cost you €10.50). 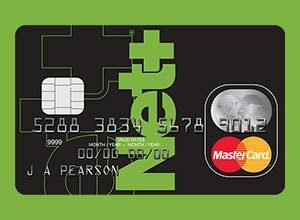 If you use Net+ Prepaid MasterCard paying in shops, restaurants or purchasing online will be free, however, if your transaction requires currency conversion you will be charged 3.99% in foreign exchange fees. The charge for cash withdrawals from the card is 1.75% and the fee to replace a lost card is €10. The annual card fee is €8. The limits for your Net+ Prepaid MasterCard are 10 withdrawals every 24 hours, the maximum withdrawal for every 24 hours is €900. You are allowed 50 purchases every 24 hours and the maximum for every 24 hours is €2,700. These fees and limits apply only for the plastic Net+ Prepaid MasterCard. If you use Net+ Virtual Prepaid MasterCard you can get your first card for free and you must pay €2.50 for every additional one. If your virtual prepaid card is not verified, you are allowed to make 4 lifetime purchases. The maximum of the purchases you can make every 24 hours is €180 and your lifetime maximum of purchases is €720. If you verify your Net+ Prepaid Card your card limits are a bit different. You can make 10 purchases every 24 hours, you are allowed a maximum of €6,300 in purchases every 24 hours. You can also pay for up to 30 purchases every 4 days and your limit is €10,500 every 4 days. Neteller is one of the safest ways to manage your online funds. Whether you are topping up your account or you are withdrawing money, you can always be sure that your personal information and money are always secure. This e-wallet is very popular among online gamblers and you can be sure that all your funds are handled in a safe way so that you can enjoy your game of roulette to the fullest anytime you log into the online casino of your choice. The company is authorised by the UK Financial Conduct Authority (FCA) and it holds all of your account balance in trust accounts. Neteller customers are provided with the Two-Step Authentication option which is a security measure that can be added to every account. If you opt for this feature, you will add another layer of security to your e-wallet. This means that whenever you sign into your account you will be asked to enter your e-mail and password and you will also have to use a code you have received on your smartphone. You should know that Neteller utilises many different measures to make sure your money and your personal information are always safe. Industry-standard encryptions for all sensitive information, a highly secured data centre, and 24/7 monitoring of accounts and transactions are just a few of the safety measures that Neteller is using in order to provide secure online payments for all its customers around the world. There are plenty of advantages of using Neteller’s services when you want to enjoy playing roulette without having to worry about your money. One of the main focuses of Neteller has been providing a secure environment for online gamblers. This is why many web casinos accept deposits and withdrawals made via Neteller. You can say that one of the advantages of this e-wallet is its popularity. Due to the fact that many players have Neteller accounts, you can easily find a casino where you can play different variations of roulette and cash out your winnings using your e-wallet account. Another positive thing about using Neteller is that you can easily make payments and even cash out your money without jeopardising any of your personal information. All you are required to fill in when you choose this payment method is your account ID and authentication code. This can help you enjoy your online gambling experience while staying anonymous. If you use Neteller as a way to manage your online funds, you will notice that the majority of web casinos do not charge any fees for the transactions. This, of course, is a huge advantage when players want to enjoy a more cost-friendly betting session. One of the biggest disadvantages about making a deposit to an online casino via Neteller might be the fact that there are instances when players cannot claim Welcome bonuses if they transfer their money using the service of Neteller. This can definitely cause players to miss some great casino promotions. Another negative side of using Neteller is their withdrawal limits which can be quite restricting for regular users. If you want to make bigger deposits and withdrawals you might have to apply for a VIP membership. There are also some countries where Neteller is completely restricted and online players cannot use it to fund their accounts in web casinos. The service of this e-wallet is also restricted in the United States and Canada. Nowadays, online gambling has become very popular and many players are looking for a fast and safe way to make deposits, and withdraw their winnings. E-wallets are definitely one of the easiest and most secure ways to top up your online balance or cash out the money from your casino account. Neteller has become a very popular service among players and this is because this payment method is quite fast, compared to others. You can also be sure that your personal data and funds are safe due to the high levels of security that Neteller is always maintaining. It is true that the service has some restrictions which may affect gamblers, however, the biggest advantage of utilising Neteller for your iGaming experience is that most of the online casinos which accept this payment method do not charge any fees and if you are playing roulette or any other game, you can easily play with real money and get your winnings to your e-wallet account in no time.